First Christian Church will host a film night on May 30th at 7 pm. The film to be shown is "Black Gold" which is a 2006 feature length documentary. The story follows the efforts of an Ethiopian Coffee Union manager as he travels the world to obtain a better price for his workers' coffee beans. 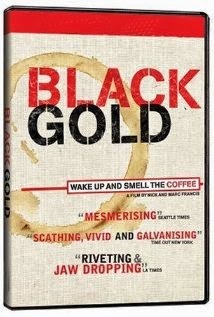 Although filmed in 2006 the importance of fair trade coffee is as relevant today as it was then. Popcorn and drinks will be served. This is the first of five film nights that we will be hosting; all on the last Friday of the month, from May thru September. Mark your calendar and plan to attend.